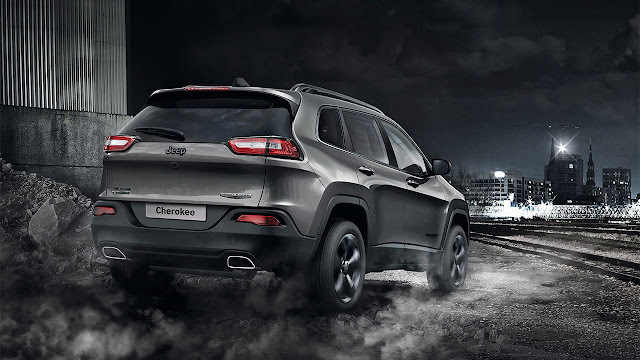 Plans to continue the success of the remarkable Jeep Cherokee range of 4x4 vehicles have been announced, with details of a stylish new Cherokee ‘Night Eagle’ version. Based on the Longitude ‘Plus’ mid-trim level, Cherokee Night Eagle features black styling cues which reassert Jeep’s personality and unique flair for customisation. It will cost £36,795 OTR when it goes on sale later this week. 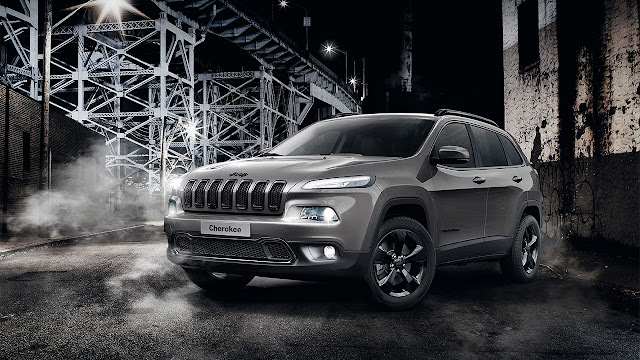 Designed to enhance Cherokee’s striking design, the new Cherokee Night Eagle is limited to just 350 examples for the UK. The car’s bold new appearance accentuates its distinctive style, with satin-finished grey elements on the front grille-mounted Jeep badge, the fog light frames, black gloss roof bars and the dedicated Night Eagle name badge, combined with exclusive 18-inch black gloss alloy wheels and deep tint sunscreen glass. Inside, a leather steering wheel, exclusive leather upholstery, heated front seats with electric lumbar adjustment on the driver's seat, Uconnect with 8.4-inch screen and navigation system, and TFT instrument panel create a comfortable, high-tech setting for driver and passengers. Other standard equipment on Cherokee Night Eagle includes a nine-speaker sound system with subwoofer, cruise control, dual-zone climate control, electric tailgate, rear parking sensors, automatic headlamps with washer, rain sensing wipers, and power folding mirrors. This edition comes in four stylish colours: Brilliant Black, Bright White, Billet Silver and Granite Crystal. Power comes from the new 2.2-litre MultiJet II turbo diesel engine delivering 200 hp which, combined with Jeep’s smooth nine-speed automatic transmission and rugged Active Drive I 4x4 system, gives the car a top speed of 127 mph and 0-62 mph acceleration in 8.5 seconds. Yet the Cherokee Night Eagle can still return 49.6 mpg fuel economy on the combined cycle.